In yesterday's blog, we called out a classic 1928 film, a kind of crossover from the silent to the talkie era. Street Angel was a huge hit for the Fox Studios, banking around $1.7 million (which meant a LOT more ninety years ago than it does now), and got itself a few Academy Awards to boot. One was for its leading lady - Janet Gaynor - who has the distinction not only of being the first woman to ever win the Best Actress Award, but for having received it for three movies simultaneously - Street Angel, Sunrise: A Song of Two Humans, and 7th Heaven, the latter two having been released in 1927. Yes, the rules have changed since then. Now you can only officially win for one performance (although we believe that some actors occasionally win not for the movie they deserve to win for, but for another one. Kate Winslet is one person we consider there, but that's off the record, and does not represent the views of everyone on the ATT blog staff). 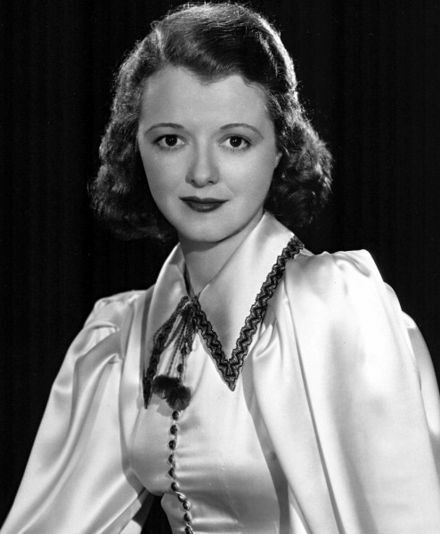 Janet Gaynor, born in Germantown Philadelphia in 1906, started acting in silent films at the young age of 18. She quickly rose to the top, and by the time she was 22 was one of the biggest names on the big screen. That said, Gaynor retired from the industry (on her own terms) when she was 33. She dabbled in the arts for the rest of her life, occasionally appearing on Broadway and the like, until she was involved in an accident between a drunk driver and her taxicab. She died of complications from the accident when she was 77.